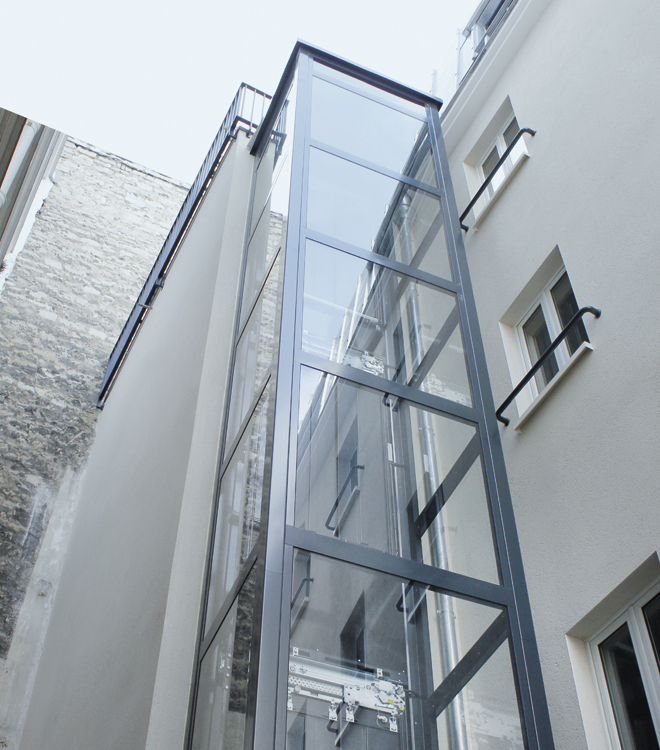 DomusLift small lifts for condominiums and flats are conceived to solve vertical mobility needs and to remove architectural barriers in private and public buildings. 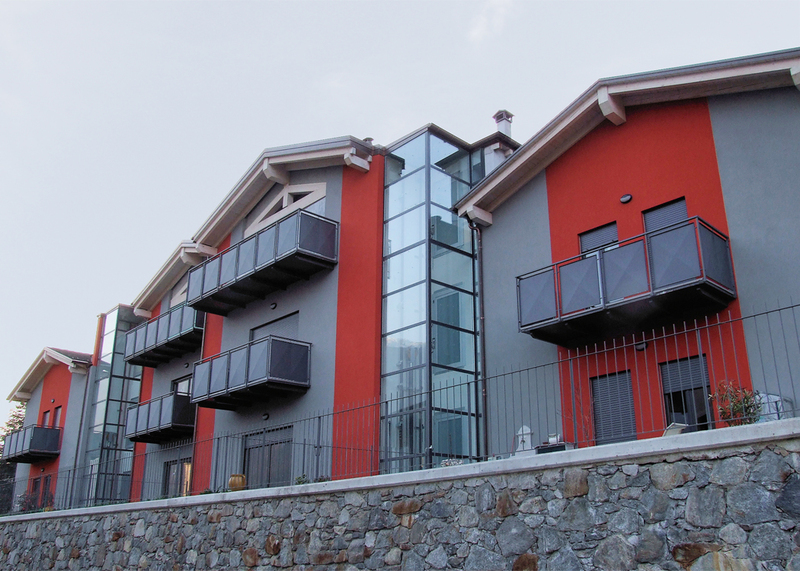 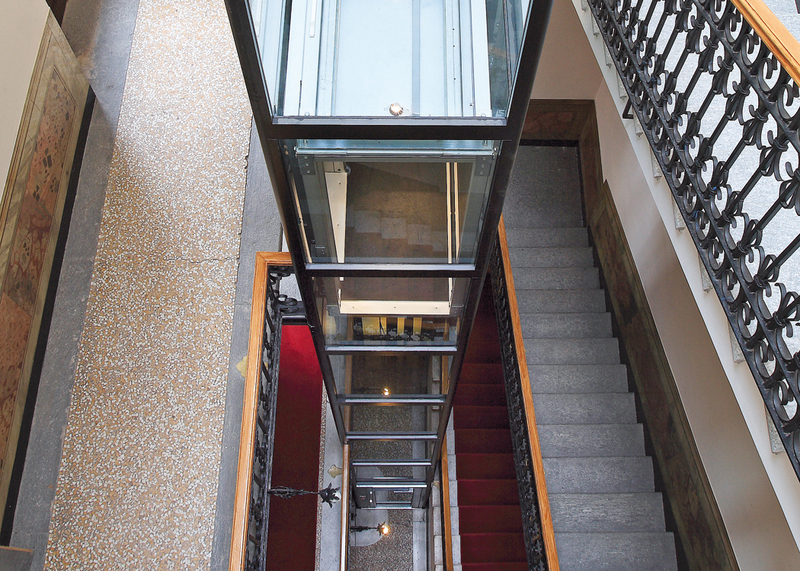 DomusLift is suitable for the most complex situations and any building and environment, even existing buildings with historical constraints or with very narrow shafts and reduced spaces. 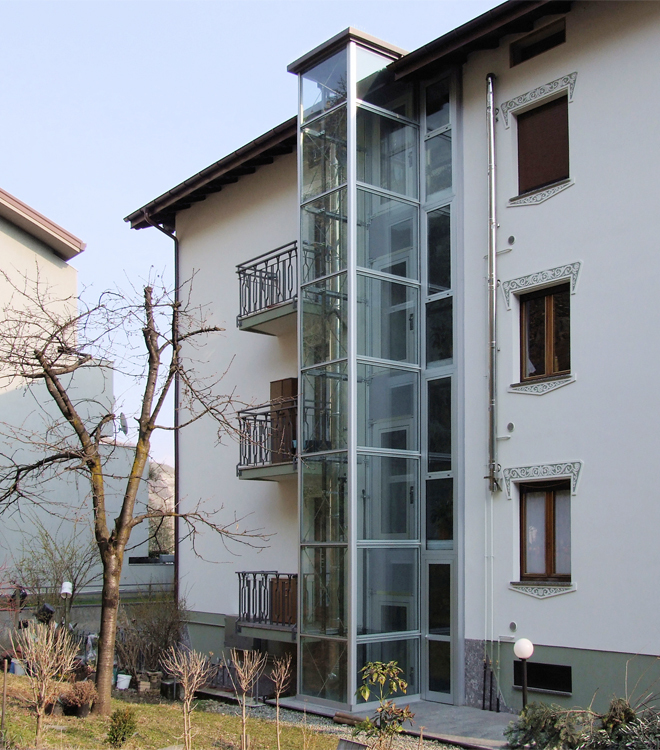 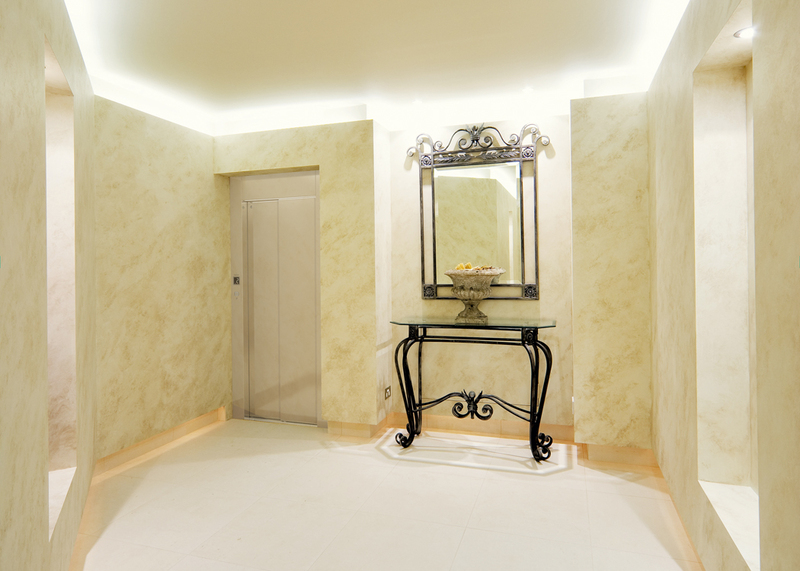 The installation of the lift in the condominium or in the house can solve problems arising when the access is difficult for elder and disabled people. 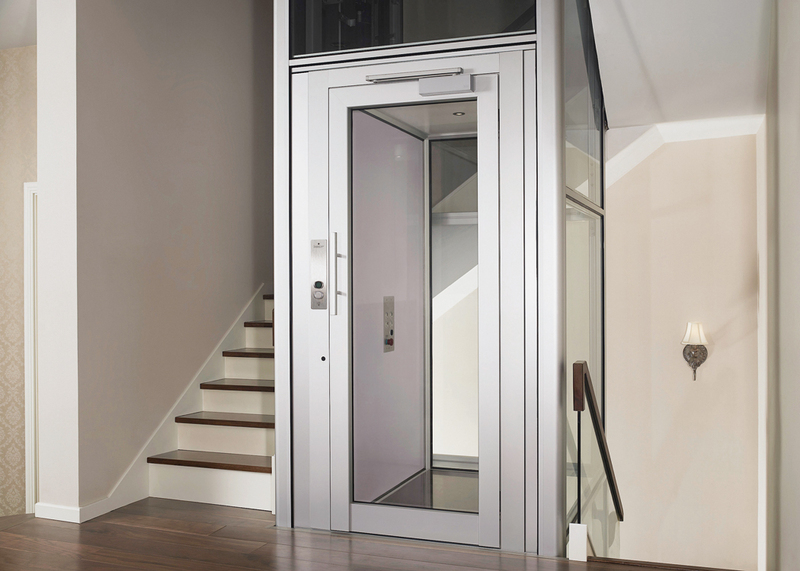 Thanks to a range of financial support offerings, the DomusLift homelift represents an ideal and cost-effective solution. 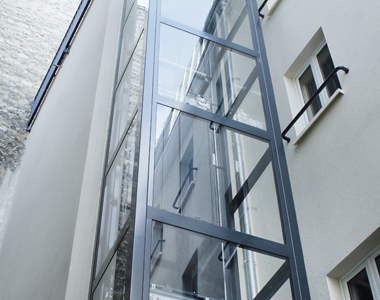 DomusLift quick installation procedure requires minimum builder’s work, thanks to the reduced pit and headroom. 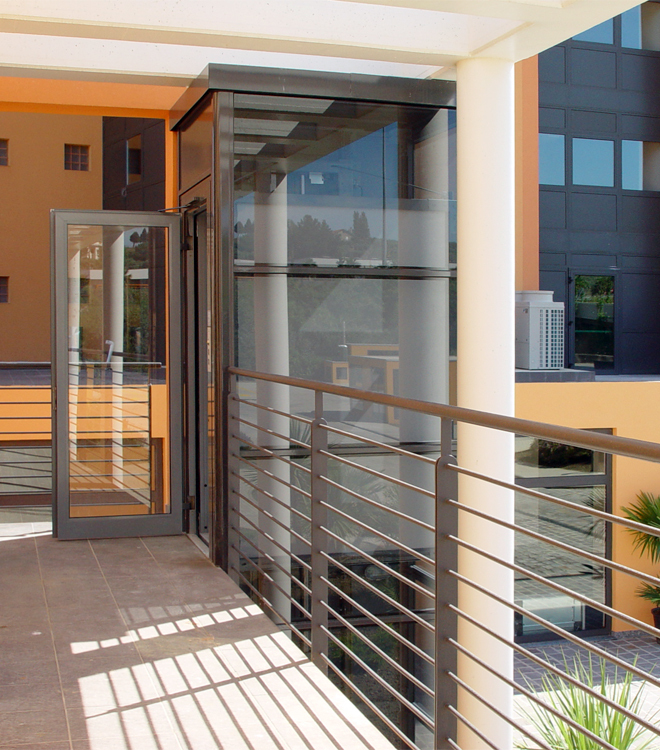 The installation also needs limited regulatory approval and benefits from reduced maintenance costs and low energy consumption by using the standard household 230V outlets. DomusLift offers a choice of extremely functional and customisable solutions with special accessories, such as the powered door opening and landing calls. 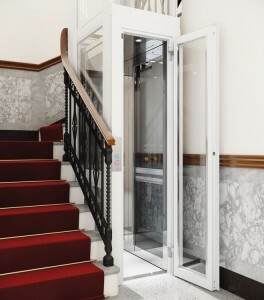 DomusLift is an affordable solution ideal for those with impaired mobility or special needs.